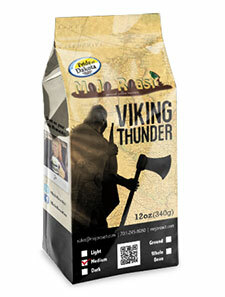 Viking Thunder is a medium roasted blend of full bodied coffees that compliment each other nicely in the cup. This coffee is simply amazing. It is rich, bold without being overpowering, and doesn’t even have a trace of bitterness. 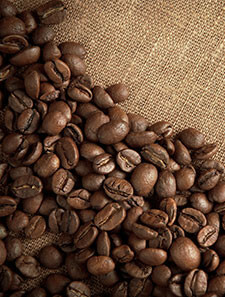 I haven’t tasted a better coffee, and I drink coffee every day! Thank you for the review: so glad that you had a great MoJo experience.